Once again the weekend flew by way too fast! We attempted to enjoy a date night, but lack of babysitters and family thousands of miles away it didn't happen. Instead Nick took one for the team and watched Emerson while I met friends at the newest and coolest hotel in South Lake Tahoe, The Coachman. That was pretty much the highlight of the weekend. Aside from working out and enjoying the beach I meal prepped and cleaned! Sometimes I feel like I'm always cleaning. Nick did tell me if I lock in another client or two we can hire a cleaning lady! Yes, please!!! In the meantime, I'll just keep cleaning and picking up the house as I can. I love cooking, but hate cleaning up the mess especially when I have to hand wash a handful of dishes. Plus, some dishes have to soak before you can really wash them. Well not anymore! 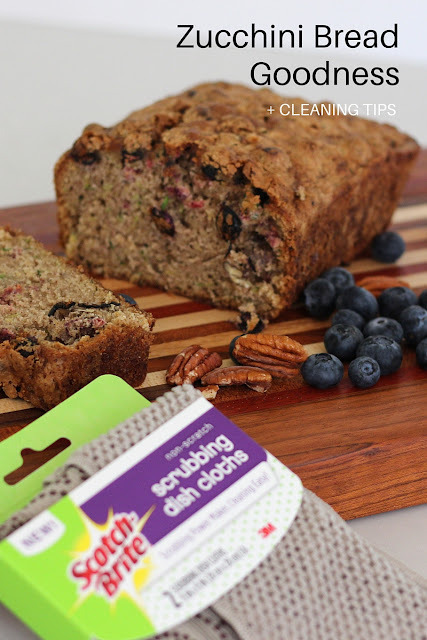 I have a new secret weapon in the kitchen, Scotch-Brite® Scrubbing Dish Cloths! 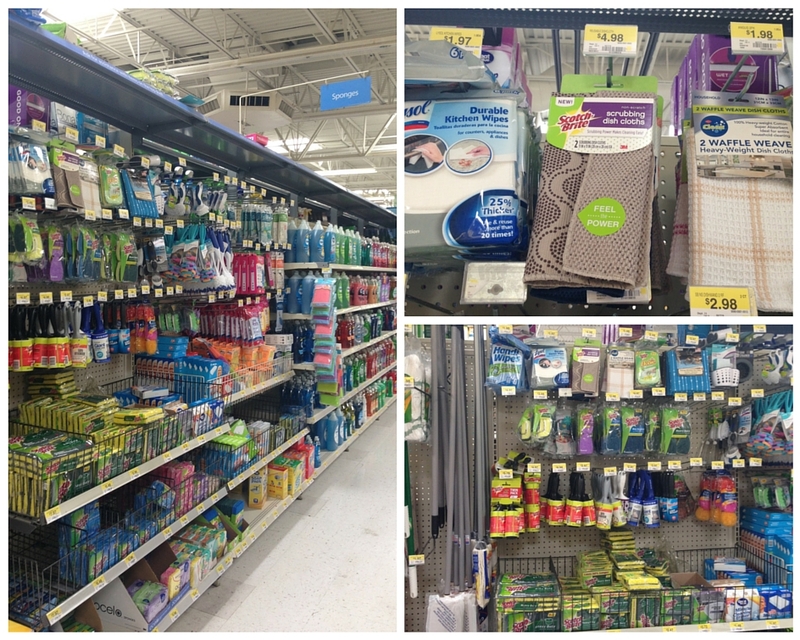 Talk about taking cleaning to a whole new level so you can do even more, including tackling stuck on messes. The dish cloths are available in 2 packs in tan, coral, and navy and just under $5.00. In fact I paid $4.98 at Walmart! DEAL ALERT: There's a $1 off instant redeemable coupon available upon checkout. Don't forget to peel it off at checkout to redeem. 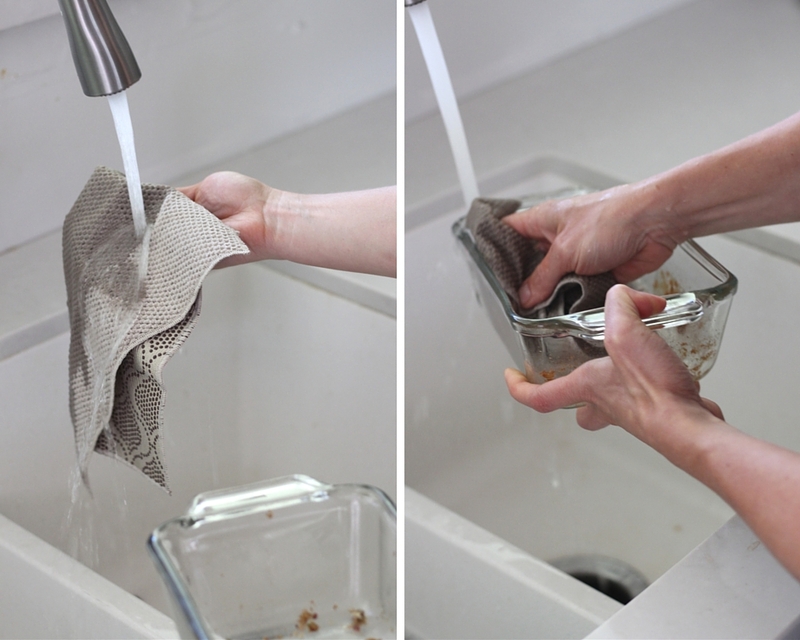 The Scotch-Brite® Scrubbing Dish Cloth combines the best of a high quality dish cloth with the power of Scotch-Brite® scrubbing dots for a quicker and easier clean. 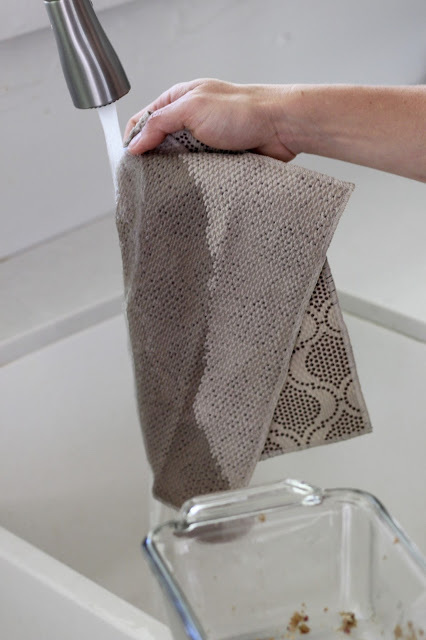 One side of the cloth is a high quality fiber dish cloth, and the other side has Scotch-Brite® scrubbing dots that give you scrubbing power and make it quicker and easier to clean. New product win for Scotch-Brite®! 4. Wash baking dishes and soon as you pack away the food. Don't let it set. Now for the good stuff, Zucchini Bread! Working from home makes it easy for me to make meals throughout the week, but my hubby needs a breakfast he can grab and go. Especially since he has to be at work at 7 a.m.! I know poor guy. Anyway, this week I made Zucchini Bread! Honestly zucchini anything is kind of a summer staple in our house. 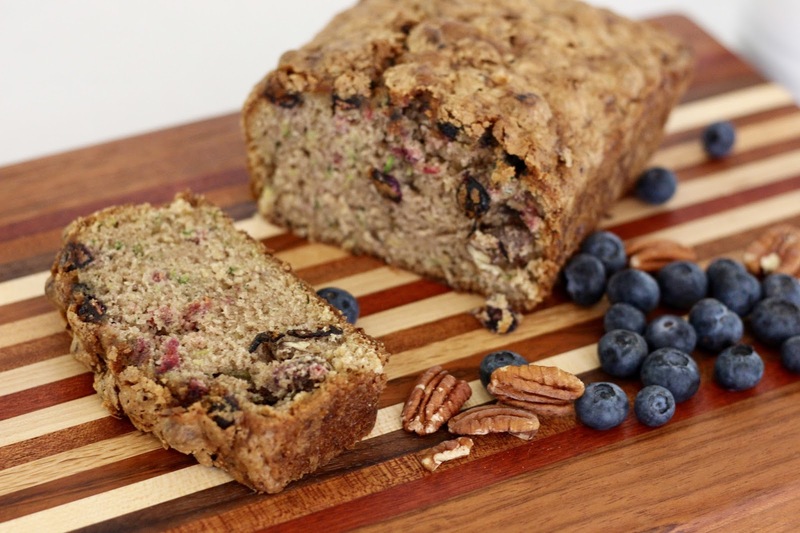 Recent dishes include Zucchini Lasagna and Honey Pecan Zucchini Muffins [see recipe tab for more details]! Can you say yum. In a stand mixer, combine oil, sugar, eggs and vanilla. Stir in zucchini. In a separate medium sized bowl, blend flour, baking soda, baking powder, salt and cinnamon. Stir into the wet mixture, just until combined. Stir in optional ingredients if desired. Bake for 45 minutes to an 1 hour. Cool completely on wire racks. 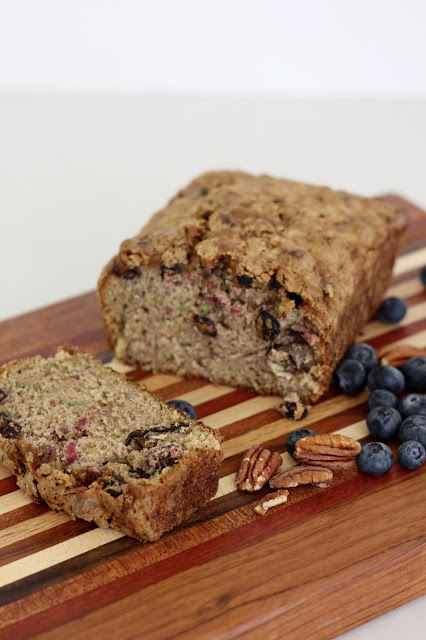 Freeze one loaf for later and enjoy the other now! Check out other great recipes and cleaning tutorials HERE.